People who come to our Orland Park dental care center know that we offer exceptional, state-of-the-art treatment for a whole host of dental health needs. This includes the latest restorative dentistry procedures, able to address a whole host of problems as they arise. Tooth loss tends to be one of the most significant problems that patients face. With that in mind, let's consider how injury to the mouth leads to tooth loss and how it can be treated. Physical trauma and injuries are a leading cause of tooth loss. People who sustain serious blows to the face or head are likely to experience some form of dental injury as a result. This is particularly true of injuries to the mouth or the jaw area. There are many different forms of trauma that can result in tooth loss. We'll just cover four common types of oral injuries and how they cause the loss of teeth. A slips and falls are one of the leading causes of tooth loss. If you fall and land face first or are unable to catch yourself before striking the ground, it can potentially cause serious trauma to the face and mouth, leading to fractured teeth if not outright tooth loss. Whether you're driving a car, riding a motorcycle, or on a bike, an accident while on a vehicle can lead to serious injuries and harm. This is why wearing helmets and safety restraints is so important for protecting yourself from harm. Whether it's football, hockey, boxing, wrestling, or mixed martial arts (MMA), sports that involve physical contact can lead to the loss of teeth. Even non-contact sports that could result in incidental contact such as soccer and basketball can result in tooth loss. Mouth guards, helmets, and other protective gear can help protect your smile. Fights or assaults can be terrifying ordeals, resulting in serious harm. If you sustain any blows to the face or head, it's possible that you could lose a tooth or multiple teeth in the altercation. After losing a tooth, there are a number of issues that you may have to deal with. They are, generally speaking, cosmetic in nature or related to your dental health. On the cosmetic side of things, a missing tooth or a few missing teeth can leave you feeling self-conscious about your smile. You might be hesitant to smile, speak, or laugh, even around people that you have known for years. In terms of dental health and total wellness, missing teeth can lead to bone loss, gum recession, the misalignment of your remaining teeth, and a host of other health issues. A missing tooth or a few missing teeth can even making eating certain foods very difficult. Thankfully there are many different treatment options to consider if you are missing a tooth or many teeth. In many cases, a dental bridge or a denture may be considered to remedy tooth loss. These removable appliances can restore the appearance of a smile and a person's ability to bite and chew. 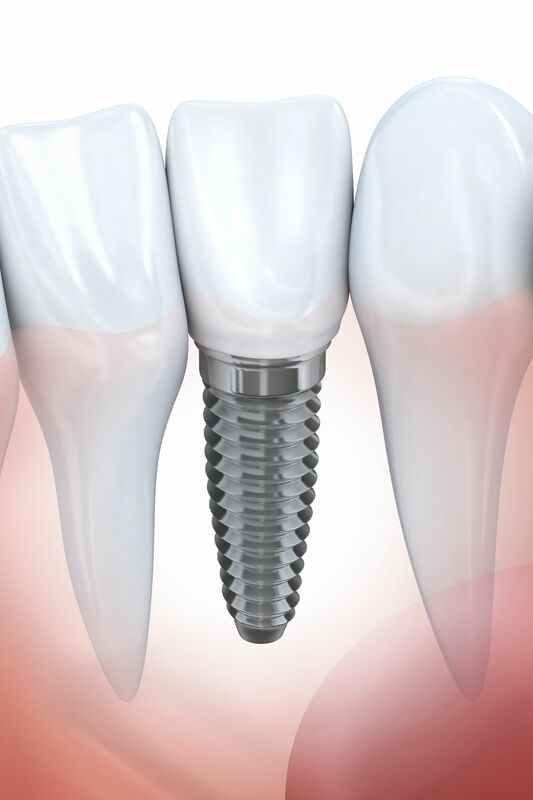 Some patients may wish to consider dental implants, which are artificial tooth roots that anchor appliances into place. These require oral surgery, so candidacy for implants dentistry can be discussed in greater detail during your visit to the practice. For more information about replacing missing teeth and your many other treatment options to enhance your smile, be sure to contact our advanced dental care center today. The team at our practice is here to help you smile with renewed confidence.